As the title suggests - what do people think is the ultimate team with money no object? Would pele get in there? What formation would you use? 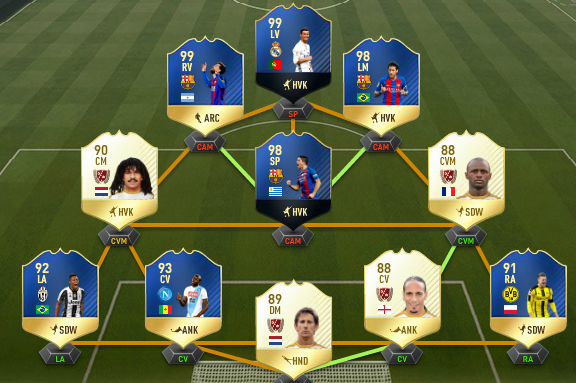 Would gullit be nailed on for a position? For me it would be. 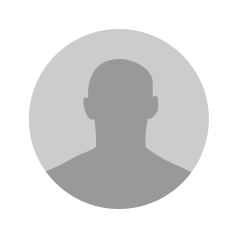 Consider all players as best variant. At HT sub off Gullit for TOTS Radja or Kante. This is for playing against casuals in the weekend league btw. 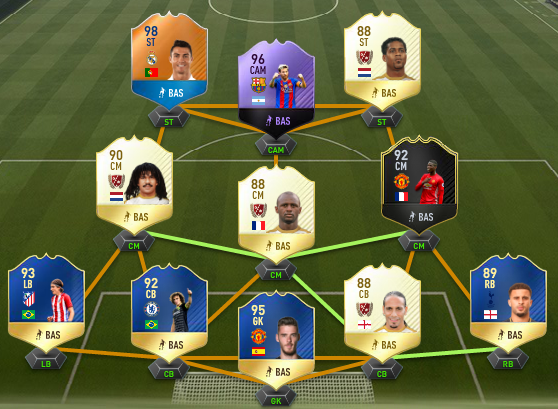 If you play in pro tourneys I would use Suarez for Neymar, because the games are slower so his strength matters more. But against casuals it's Neymar with his pace and dribbling for me. 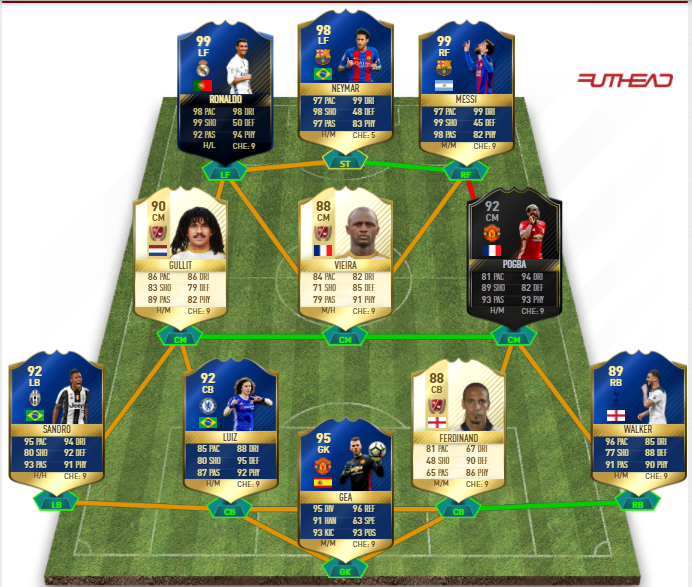 Neymar over Suarez for me too.. way more fun and as effective in his own way.. People also use Suarez coz they're just too obsessed with eas Chem system which hardly even affects most of these blue cards anyways..
You can't pick Jesus man. He'll go missing after Easter..
well at least I will have lots of fun until then. 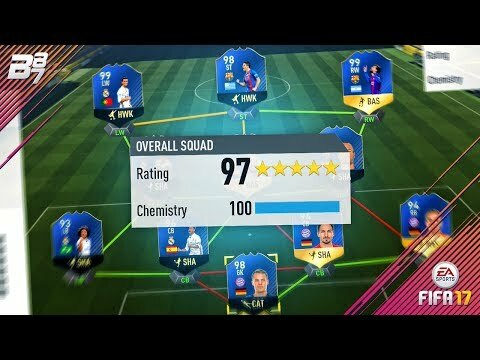 4411, Marcelo Ramos Luiz Carvajal, Ronaldo Kante Pogba Messi, Ibra, Suarez. 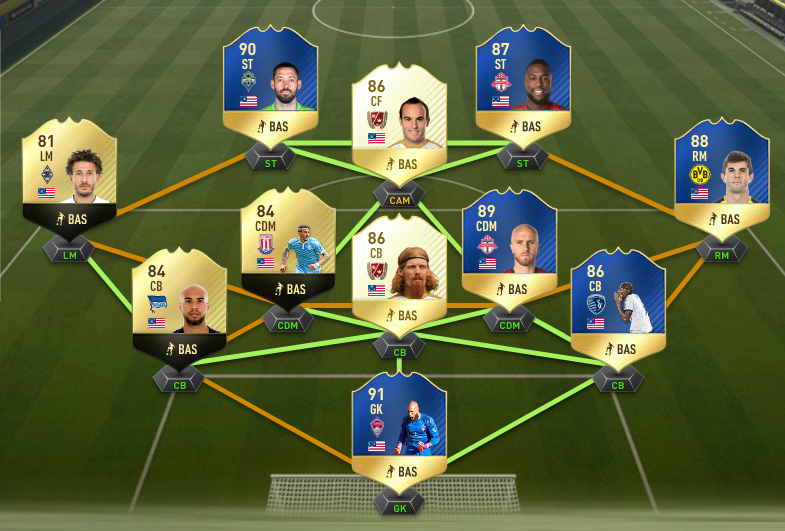 Switch to 433 in game with Ibra at CAM. 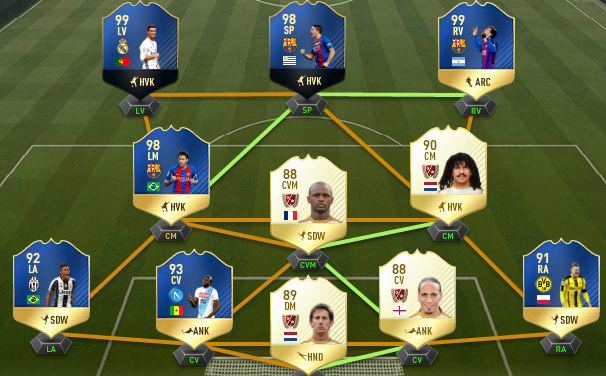 I think that is the best you can do with everyone on 10 chem. is carvajal a better rb than zanetti - I haven't played with either but people on this forum see to rate zanetti pretty highly? I'd agree with the team though 100% having used all of the players in various teams. CTs for 41212(2) please guys? Just standard but with Cover on defence instead of offside trap. STs on press back line, get in behind. Cam stay forward, free roam. Leave it at 60 pressure then? Thinking of mixing up my main team and building something like the below. Surprised nobody has mentioned Pele so what are people's thoughts? • Goalkeeper: Vd Sar with his height very OP (its the main strengths of goalies like Butland, Begovic etc) and combines this with amazing stats. Legends often play better than their stats, therefore he also feels better than all NIF goalkeepers and TOTS GKs are very inconsistent. He also provides possibility at CB to use Koulibaly, statwise the best for his position. • Rightback: TOTS Piszczek > TOTS Valencia > TOTS Walker. He is maybe not as fast, but his M/M workrates keep him better in position and with his height he feels stronger than the others. • CB: Koulibaly does not seem the best to some people, because they are mainly put off by H/H. Still H/H feels much better than H/M, he has 89 sprint speed, 99 strength, he is probably one of the tallest TOTS defenders, great defending, and he is a true danger in the air with his 95+ jumping (great for defending corners, great for attacking corners). He combines this with 87 dribbling, which is smooth enough for a CB. So pure defensively he is the best. I do not require shooting from a player in this position. I don't think Sandro, Ferdinand, Vieira, Gullit, Ronaldo, Neymar, Suarez and Messi require an explanation of being the best in their position. They seem obvious picks. @paw14 What formation do you want to play? Can try something in that formation if you want. No subs, no ingame formation changing? I was thinking the same, though it would be easier in 433 (3), not sure how that formation compares to 433 (4) though. For me (having used Chiellini TOTS and Ramos TOTY) the pair of Ferdinand Koulibaly is much better. So I would just adjust that with Koulibaly - Ferdinand and Vd Sar in goal because I have never liked Buffon on FIFA. But if you think he is great you need to keep him on. 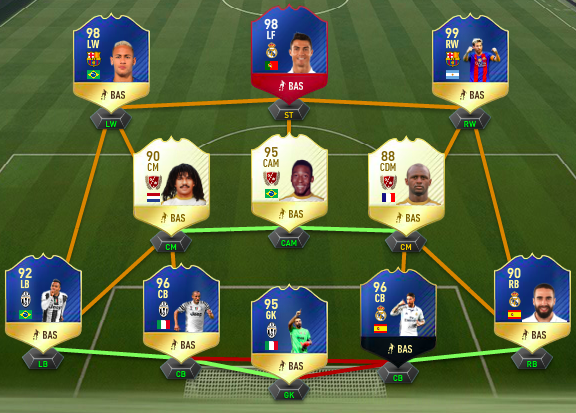 Not a fan of Carvajal either, but guess there is no other choice on full chem in 433 (4). In 433 (3) it is possible to play Sandro - Koulibaly - Ferdinand - Piszczek with Vd Sar in goal for instance. Or TOTS Valencia rightback (2nd best option). 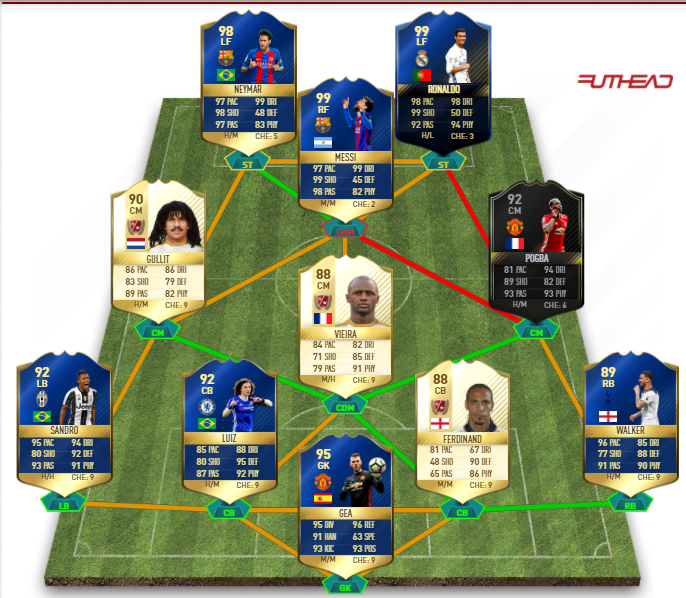 But in that case Pele is playing CM..
A lot of these players in these teams posted wouldn't make it in a real life dream team, it just goes to show you how UT is built on pace, power and strength. 433(3) wouldn't get the best out of Pele though that's the issue. Could change to 4231(2) to give more defensive stability but then Messi and Neymar won't be involved enough. I think the only issue with Chiellini and Ramos is that the contrasting workrates would cause huge caps in the middle of defense.